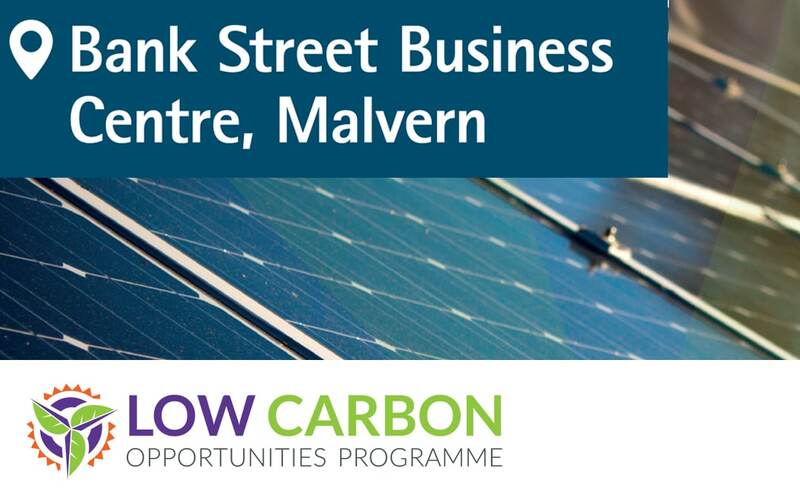 Bank Street Business Centre provides quality, serviced office space for businesses in Malvern. The owners are keen to reduce the environmental impact of the building as much as possible and have taken advantage of both the Business Energy Efficiency Programme and the Low Carbon Opportunities Programme. Both of these programmes are funded by the European Regional Development Fund. The reviews of the building and energy usage identified that whilst a number of improvements had already been undertaken, there were still steps which could be taken in order to improve the building. In addition, the building owners were keen to find a low-carbon solution to the issue of overheating in one office, where actions to reduce the solar gain through the windows had failed. The temperature still reaches 340C here, meaning the office space could not be utilised without inefficient portable air conditioning units. One measure recommended was to install an air source heat pump unit, which would provide both heating and cooling when required. As the air source heat pump (ASHP) will provide Bank Street with cooling and heating, it means that their existing electric radiators can be replaced, and the office can be cooled when necessary without the use of portable air conditioning units. We were very pleased to find that we could get a grant from the Low Carbon Opportunities Programme, enabling us to reduce our carbon emissions and improve the office environment for our tenants at the same time. The process of applying for the grant was simple and the measures are currently being installed. An ASHP extracts heat from the air, in the same way that a fridge extracts heat in order to expel it. Heat pumps can be very efficient, extracting heat from the air even when temperatures drop as low as -15oC. The air-to-air system produces warm air which is circulated by fans, and the system can be reversed to provide efficient cooling. Heat pumps do require electricity to run, but the heat they extract is naturally and constantly being renewed, and they are more efficient than simple electric radiators. In addition, the review also recommended the installation of a small solar PV array, which will help to provide the electricity required by the ASHP and provide additional carbon savings. Both measures were accepted by the programme for grant funding and Bank Street is installing these. In total, the business will save over £1,000 per year on their electricity bills through the installation of these two technologies. Information on air source heat pumps on the Energy Saving Trust website.